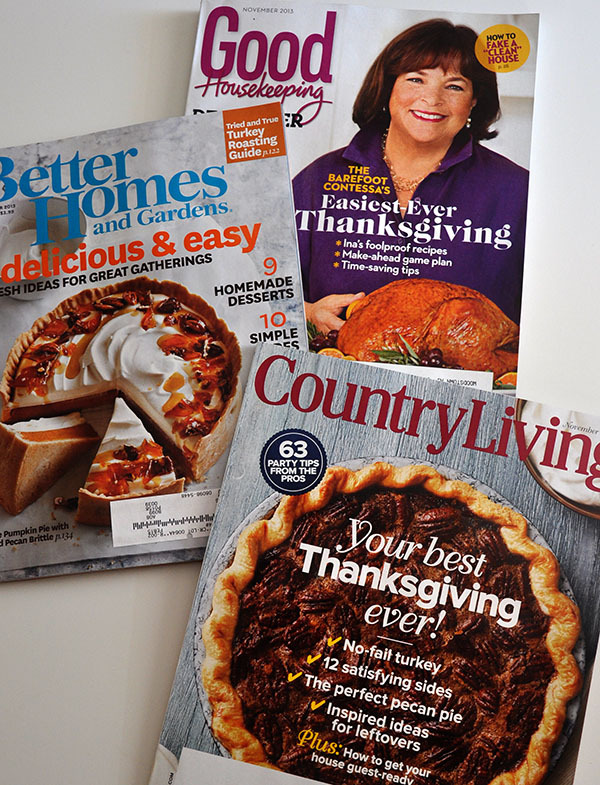 Thoughts of Fall and Quilts…. After some unseasonably warm weather, Fall (aka Autumn in the rest of the world) is here, finally and for reals! The weather is cool and crisp and breezy, the leaves are rustling and rattling, and the crows are calling. We have some GIANT cobwebs in the yard and garden… I don’t know why, but this time of year simultaneously makes me want to nest, but also makes me a little melancholy… end-of-summer blues?? Or perhaps, just less sunlight. 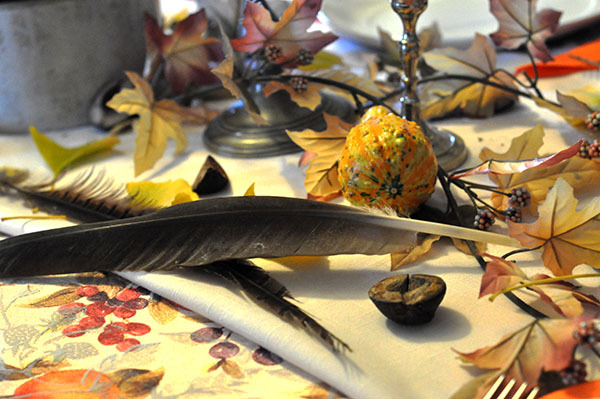 Last year, we opted for just scattering the table with found treasures from the yard, and we mixed in some purchased flowers and silk leaves. It was simple and rustic. 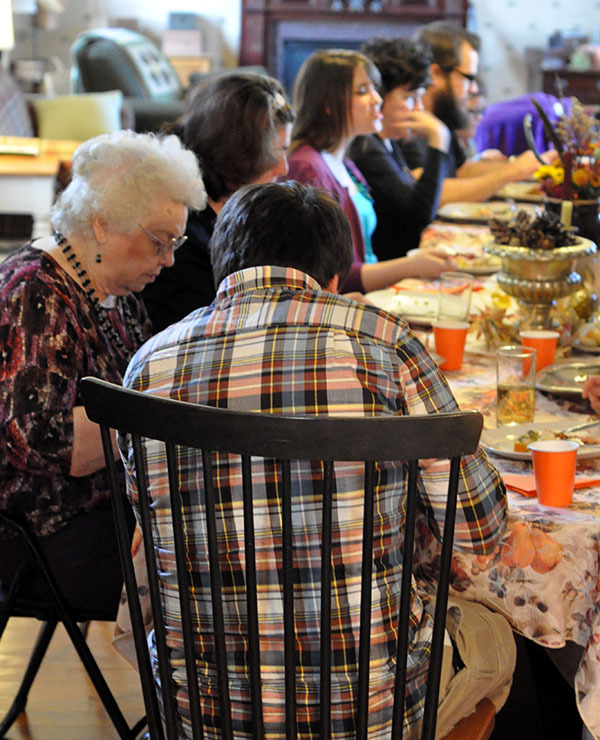 Sadly, Grandmom won’t be at the table with us this year… I have been thinking about her a lot lately. Hard to believe she’s been gone for 2 and a half months now. 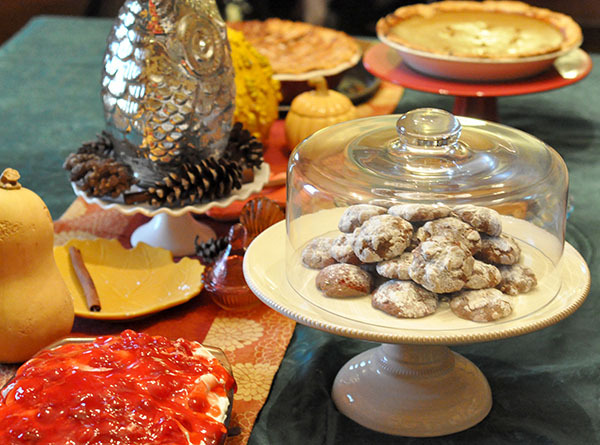 The dessert in the bottom left of the below photo was her specialty, and my brother’s favorite. She brought it to Thanksgiving last year. On a different note, later today my husband and I will be leaving for Houston, Texas to go to International Quilt Market. I am looking forward to catching up with friends and being inspired by all of the fabric and colors and quilts and creativity that abound there…. also looking forward to visiting our favorite Mexican restaurant while there! It always makes me want to come home and make 1000 quilts!!! You can look forward to lots of photos and inspiration when we return! 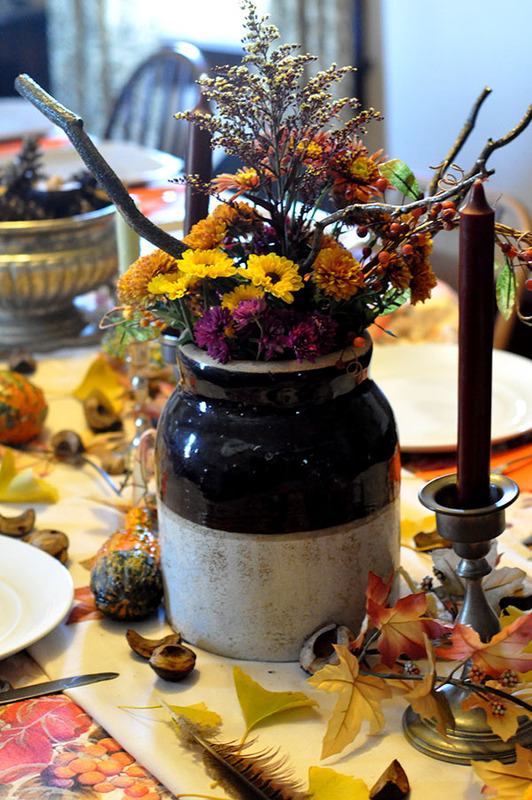 This article was posted in Autumn, Decorating, Family, House & Home. Bookmark the permalink. Follow comments with the RSS feed for this post.Post a Comment or leave a trackback: Trackback URL. Yes – you will miss your Gramma this year. So sorry. It looks like she made Cherry Cheesecake. That is usually what I bring as well to meals. My son loves it (as does my hubby) Have fun in Houston. I am so jealous. I have never been. Actually it is her version of Black Forest Cake. Really easy. Maybe I should make this year in her honor…. Have a great time at Market….I really should go it is so close. I did have fun and more importantly met up with some new people- that is always good! The first year of holidays after having lost someone close is always very difficult. Enjoy your time at Quilt Market. Thank you, Judy! I appreciate your kind words. I can imagine that the holidays will be a bit hard for you this year – I hope you can hold on to happy memories and remember the fun times with your Grandmother….. I hope you have a good time in Houston – sounds like a fun time!! 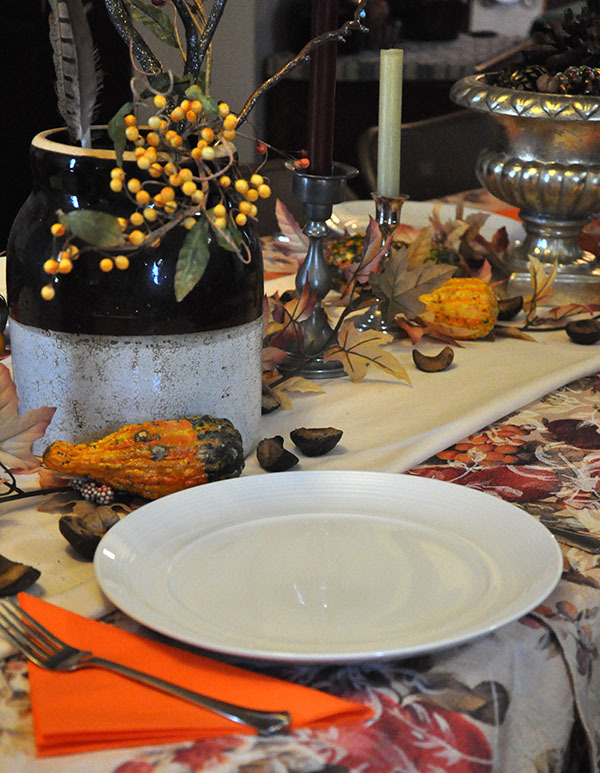 I just love your table decorations for Thanksgiving – so beautiful!! I especially love that you incorporated so many natural elements into it. I bet this year will be hard without your Grandmother – I hope you can still enjoy Thanksgiving with the rest of your family. My name is Jacquelynne, and I just like to make stuff. Come along with me, I’d love to “meet” you!